The Annual Minnesota Crossing For a Good Cause! Almost everyone’s life is touched by cancer in one way or another. Great strides have been and are being made in combating these diseases. It is the objective of RideMN1 to carry this positive message across Minnesota to provide support and hope. We conduct an annual bicycle ride across Minnesota to convey this message by providing a healthy fundraising event that is geared to the participants while involving all communities. RideMN1 Inc. is a federally recognized 501(c)3 Non-Profit Corporation. We accept donations and our selected benefactor is the National Cancer Institute – the largest funder of cancer research in the world. This year’s ride will begin near the Red River and traverse a route along the Canadian Border to Lake Superior. The ride will begin Sunday, September 8th and ends Saturday, September 14th. Our route will traverse about 380 miles over 7 days. RideMN1 provides all meals and camping (with hot showers) as well as gear transport and SAG support. We need you to help us in spreading the news – We are winning, we are biking to end cancer. Join us for a tour you will not forget! You can participate in several different ways. 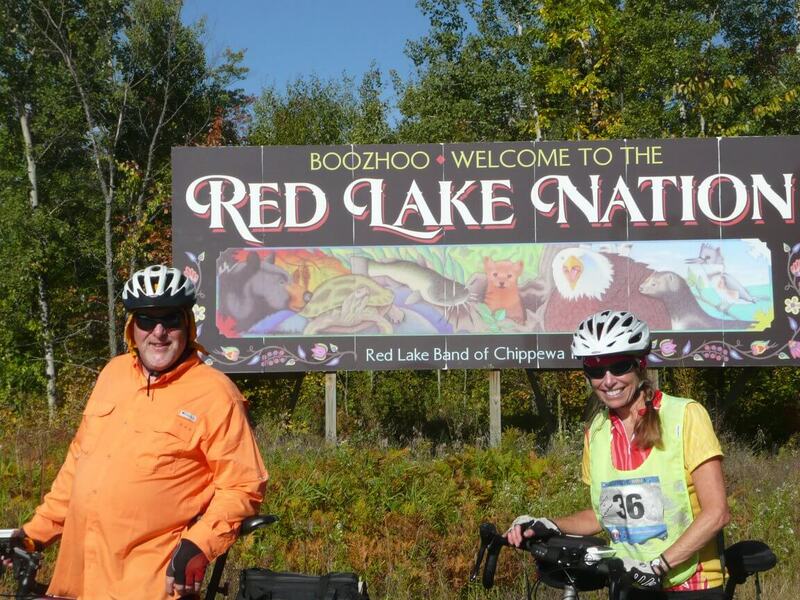 Our Ride is designed for the complete State Crossing but we have optional daily participation – beginning with the Opening Sunday Ride from Lake Bronson or Greenbush or Badger to Roseau. See “Sunday Registration” below. Also, individual Riders and Guests may join us for any part of our journey – Please click on “Ala Cart /Daily Rate” for participation options. Per Ride Camping for Saturday Night September 7th is included. We will be camping at Lake Bronson State Park at their Group Camping area on County Road #10 – NOTE: the entrance to the Group Camp is NOT the same as the entrance to the main State Park. Although this is a Group Campground, Hot Showers are included. We will have access to electric hookups and a shelter. Dinner will be provided by RideMN1 at the Campground at 7 PM. For those interested, we are planning a ‘warmup ride’ on this Saturday (September 7th). This ‘warmup’ is about 29 miles and will start at the Red River a few miles west of Hallock and end at the Lake Bronson State park Group Campsite. SAG support and snacks will be provided. At 2:00 PM RideMN1 will transport Riders FROM the Lake Bronson State Park Group Campground to the Red River Bridge on Minnesota Highway #175. Please indicate on the Rider Registration Form if you are interested in participating in the ‘warmup’ ride. RideMN1 will provide all meals beginning with a pre-ride dinner the night of Saturday September 7th at Lake Bronson State Park and ending with an early dinner Saturday September 14th in Silver Bay. 22 meals in all – 7 Breakfasts, 7 Lunches, and 8 Diners. Most meals are at local cafes and restaurants where we engage with the local communities. Usually participants ‘order off the menu’ but occasionally we will arrange a preplanned meal. We try consider diversified appetites (vegan) to the extent possible. Some meals will be prepared by RIddeMN1 where logistics require so. On the road fruit, snacks, and beverages are also included. RideMN1 will provide SAG support by transporting broke down Riders and bicycles to the scheduled day’s ride end. We will work with those affected to repair their bikes and depending upon availability of volunteers and location, we MAY be able to call upon one of the Bike Shops in the area. We encourage Riders to pack spare parts – tires, tubes, pedals, chains, etc. With a 120 LB weight limit, Riders have the option of packing a few more ‘comforts’ – thick air mattresses and electric pumps. Some Riders pack fans and heaters for those occasional warmer/cooler nights when we have access to electricity. In most cases, we will have AC power available to all participant campsites! A signed Waiver Form is required. No exceptions will be permitted! Due to the one way feature of our event, we understand the logistical challenge presented to participants. 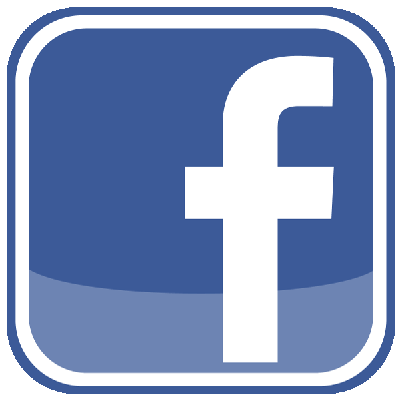 We encourage interested parties to post ride-sharing request and information on our Facebook page (RideMN1). In the past we have had participants from all parts of Minnesota (many from the Twin Cities area) as well as Iowa, Wisconsin, Montana and Idaho. Although RideMN1 assumes no responsibility, participants are welcome to leave their vehicles on this private property for the event duration. At the Ride’s conclusion, we will transport those same participants from Silver Bay back to their vehicles. We will ask for a $25 donation to help offset gas expenses. RIDERS ARE RESPONSIBLE FOR THEIR OWN SAFETY. This is a road ride with a significant portion being on roads with little or no paved shoulder. Helmets, tail lights and mirrors are required (headlights are recommended). Baudette – International Border – Take a Picture! Birchdale – Basshenge Sculpture – Left by the Ancients? Nett Lake Nation – We ride with Respect and Honor among our Native Friends – Pristine! Mesabi Trail – Much of Friday will be on the Mesabi Trail – Bring your camera! RideMN1 will provide 22 meals and 7 nights (including pre ride dinner and camping) tenting facilities (with hot showers) for each Rider. Riders may choose other accommodations (motel, RV, other) and other dining facilities, but no Entry Fee reduction will be made. We will transport up to 120 lbs per Rider (Bring the thick air mattress – we will have electricity every night too!). Route Markers will be placed to provide guidance and Daily Route Maps will be provided. RideMN1 will assist in carpooling – please see the “Carpooling” ‘bullet/dropdown and watch our face book postings. A signed waiver form at the event start is required. To expedite check-in, please download the attached form, read and sign – we will have extra copies available at check-in. Individual daily participation is encouraged. We have set fees to accommodate all participants. We need Volunteers and offer a reduced fee. You will need your own vehicle to traverse the route and you will eat and camp as the Riders. Please checkout out volunteer section below. Register and pay for the full ride. 09/08/19 – Register for Sunday’s Ride Options. Register and pay for individual/multiple days. All riders need a signed waiver! RideMN1 Inc. (Tax ID# 81-2789808) benefits several organizations dedicated to developing cures for cancer each of which is a nonprofit, public benefit corporation recognized as tax exempt under IRS Code 501(c)(3). Donations to RideMN1 are deductible for income tax purposes, to the extent permitted by law. We appreciate all those who give their time to our event. You will have a great time and we thank you for your commitment to help making our event a success. We couldn’t do it without you! We need volunteer support to conduct a successful event. RideMN1 offers a substantial discount from the participation fee for Volunteers. Volunteers will camp, dine and snack with the participants. Please contact RideMN1 at Ridemn1@gmail.com or (218) 678-2194 if you are interested in volunteering. Volunteer registration is completed online below. RideMN1 Inc. is in need of an Event Photographer to accompany us and document our bicycle ride across Minnesota. This Volunteer should have their own digital camera and be capable of uploading the photos to the internet. They will need their own vehicle and will drive ahead of the bicyclers and select various photogenic locations to capture the Riders as they go by, many Riders will choose to stop and pose. RideMN1 Inc. is in need of a SAG Support Assistant to accompany us on our bicycle ride across Minnesota in September. This Volunteer will need their own vehicle but will NOT be asked to transport any equipment nor bicycles. This person will assist our SAG team. Duties will vary and may include – assisting the SAG vehicle with locating bike breakdowns, providing on the road communication to the SAG vehicle, collection of Route Markers, assisting with loading/unloading Rider’s luggage, and assisting with ‘on the road’ lunch setup. RideMN1 Inc. is in need of an Advance Route Marker to accompany us on our bicycle ride across Minnesota in September. Each morning, the Advance Route Marker will travel well in front of the Riders and place ‘markers’ indicating upcoming turns along the route. A detailed map and instructions will be provided. This Volunteer will need their own vehicle and will drive ahead of the bicyclers (the markers will fit in any auto trunk or back seat). Each day’s ride is about 50 miles, and the task of marking the route will take a couple hours. We have other volunteers that will follow the last Riders and collect the markers. This bike ride is a team effort and we need YOUR help. Join us, see Minnesota and have some fun with some great people. Volunteer Positions are limited, please contact RideMN1 via email at ‘ridemn1@gmail.com’ or telephone (218-678-2194) prior to Registering for Volunteer Positions. - All Volunteer Positions require an automobile as you will be traversing the course with the Event. - A completed Waiver form is also required. - Volunteers will Camp and eat with the Riders. *All riders under age 18 must be accompanied by an adult (preferably a parent or guardian). In consideration of accepting this entry, I understand, intending to be legally bound for myself, my heirs, executors, and administrators, wave and release any and all rights and claims for damages I may have against the organizers of 2019 RideMN1, and any and all sponsors and their representatives, for any and all injuries suffered by me in this event. I attest and verify that I am physically fit and have trained sufficiently for this event. I further understand this is a Road Ride and a major portion of the ride will be on county roads with little or no shoulder. I understand that my safety is my responsibility. I WILL DOWNLOAD THE WAIVER AND HAVE IT COMPLETED WHEN I ARRIVE. I AGREE TO THE PARTICIPATION AGREEMENT ABOVE.